This has always been an interesting question for me, where am I from? I suppose the answer depends on who is asking the question and where it is being asked. Located at almost 9,000 feet in the Andes Mountains Bogotá is the beautiful, thriving, immense, pulsating city of my birth. The temperate climate (think San Francisco) keeps everything green for its 8 million people. Bogotá is a city in transition and with that comes the stark contrasts of old and new, money and poverty. 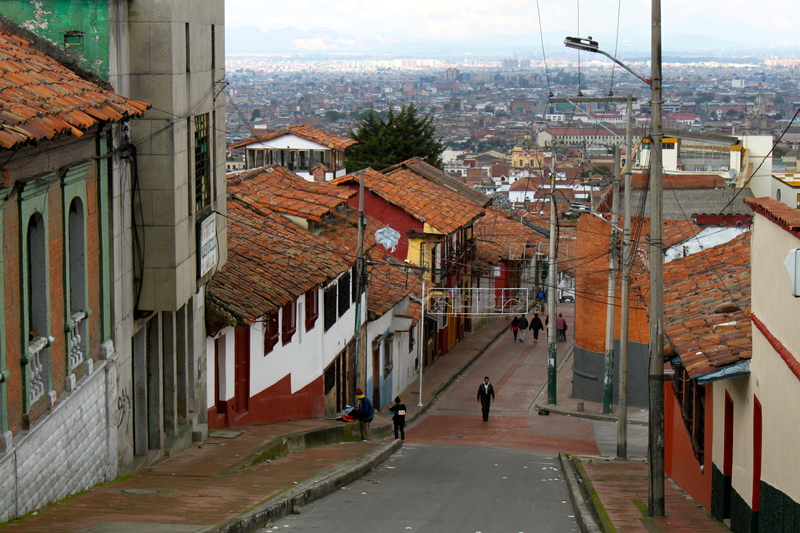 The staggering beauty of the Andes surrounds new skyscrapers and the colonial cobblestone streets of Candelaria. 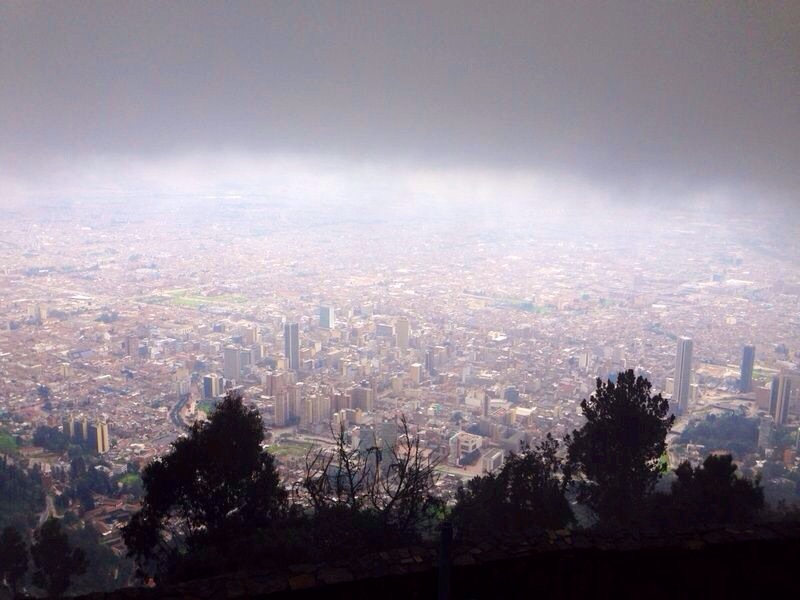 Adrenaline pumped through my veins upon seeing Bogotá, although I have been here before. But really this is my first time. 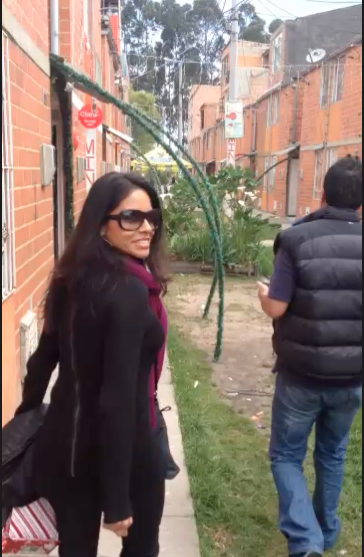 I left when I was a month old so I don’t remember the sights, sounds and smells that make Bogotá distinct. Despite the raised eyebrow when I let them know I do not have a Colombian passport at immigration it was a speedy entry into the sparkling international terminal. Our luggage passed the sniff test of the drug/bomb? dog and we jumped into an old taxi. The slight neck movement and faint eyebrow frown that I have come to expect from people in Latin American countries when they hear my American accented Spanish was made by the driver. Sorry to catch you off guard but there is a reason I speak like this. I love the first glimpses of the scenery from the airport ride, like the previews to a movie. Only this time I felt myself straining to see something familiar to prove I am from here. I should take a minute to explain that this isn’t my typical trip or vacation. These four days are a journey. A journey back to my birth country to meet my birth family. I was adopted and came to the US as a baby. I started a search last year for my birth family. I decided to buy a ticket to Bogotá before I had news of my family as I wanted to see the city I was born in and where I am from regardless of if my family was found or if they wanted to see me (of course I wanted to be accepted by them but in these situations you have to be prepared for anything). The day after I bought my ticket I got the call they had been found. So there I was in my city, ready to meet my flesh and blood. It is impossible to communicate the feeling of how surreal and impossible this moment in time was for me. It was truly awesome in the sense this word is supposed to be used. Soy de Bogotá. It feels good to be home. It is amazing how good it feels to discover that which is intuitively familiar. It was an amazing time. I am looking forward to the next trip. Behind every story of adoption there is a novel or memoir waiting to be written…the lives of adoptees are interesting to others because they are interesting and unpredictable. It is! Ha, yes the joy and terror at the same time. ¡Muy extraño! PreviousChicago Restaurant Week – Resevations Open!